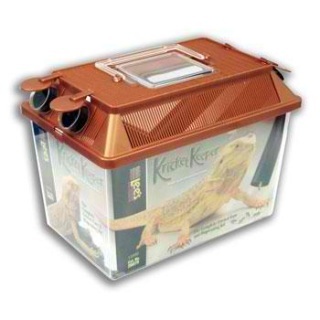 Holds up to 30 medium crickets for a week or longer. 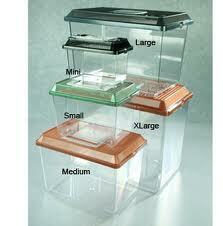 The dark texture cylinders provide ideal place for crickets to hide. Dark cylinders are removable for easy feeding of reptiles. Lid features a viewing/feeding window on the top with two dark tubes with clear caps and flappers that cover opening when cylinders are removed and a carry handle. 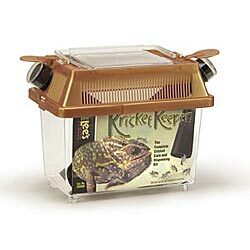 Large Kricket Keeper holds up to 150 medium to large crickets. Easy to clean. Removable tubes for easy access to the crickets!